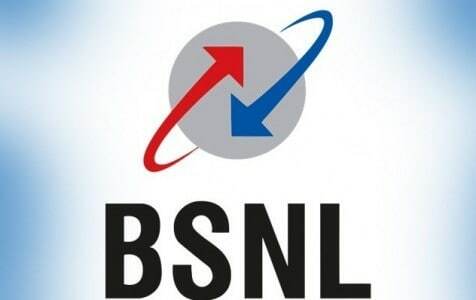 In order to keep up with the competition in the mobile data space, BSNL has launched a new plan for its postpaid subscribers. The state-owned telecom unveiled “Holi Dhamaka Offer” which offers unlimited calls and 30GB of data for one billing cycle at Rs 399. The plan will be available for BSNL customers from March 1, 2018. The new BSNL Rs 399 plan comes with 30GB of bundled data with no daily caps and is available for both new and existing customers. Subscribers will not be billed for STD and local calls, and calls made while roaming outside the home circle will be free as well. Other telecom operators such as Airtel offers 20 GB of internet data along with unlimited voice calling for Rs 399. Reliance Jio, on the other hand, gives 30 GB of internet data without any daily cap for its postpaid subscribers for Rs 409. In addition to the Rs 399 pack, BSNL also announced a new tariff plan for its prepaid customers that’s priced at Rs 448. For Rs 448, BSNL prepaid customers are offered unlimited local and STD voice calls, free roaming, access to PRBT (Personalized Ring Back Tone), 100 free SMS per day, and, 1 GB of data per day for 84 days which translates to a total of 84 GB of data. The telecom operator recently partnered with Nokia to roll out 4G VoLTE services in 10 telecom circles.